Monday 27 October marks 100 years since the birth of Dylan Thomas — Welsh poet and member of Fitzrovia’s 1930s literary scene. This weekend (25-26 October) the Dylan Thomas in Fitzrovia festival celebrates his life in London with a number of events, including some special last-minute literary offers and some unusual visual sites around the neighbourhood. Eleri Retallick stands on the steps of a replica of Dylan Thomas’s writing shed in Store Street. 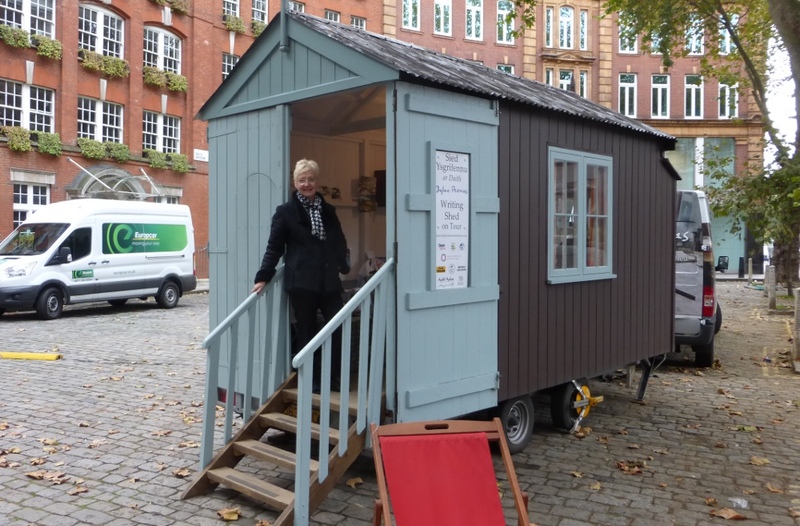 In Fitzroy Square there are sheep, in Store Street there is a replica of the the poet’s writing shed, and in Charlotte Street there is rare documentary film footage of Dylan Thomas’s life. 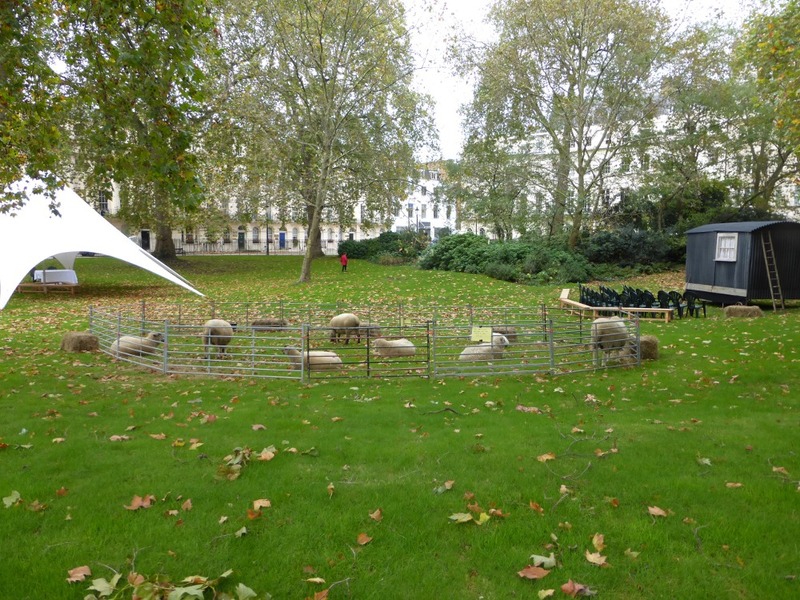 Sheep in Fitzroy Square Gardens. 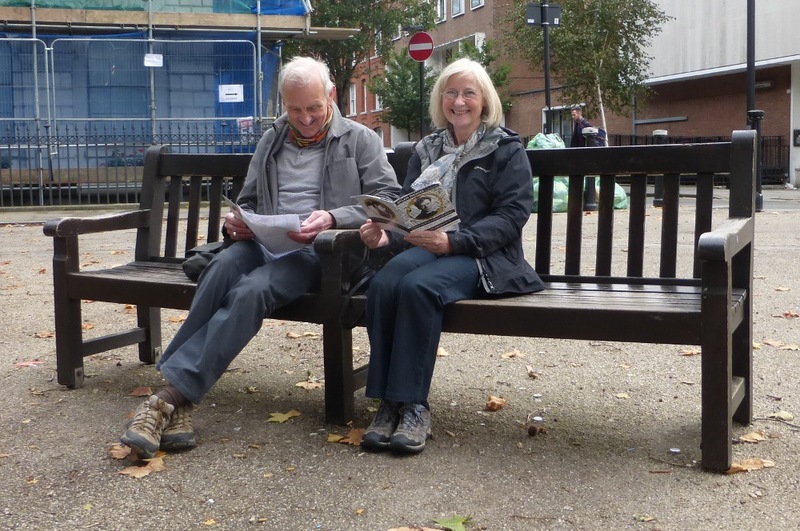 Fitzrovia News spoke to Susan and Geoffrey Jackson who had travelled from Oxford. Susan said they were very much looking forward to Saturday’s events and it was their first visit to Fitzrovia. The couple have a family interest in the weekend’s events. “Our youngest son Paul is married to Dylan Thomas’s grand-daughter, Hannah Ellis,” said Susan. Susan and Geoffrey Jackson travelled from their home in Oxford to enjoy Saturday’s events. Their youngest son Paul is married to Dylan Thomas’s grand-daughter Hannah Ellis. 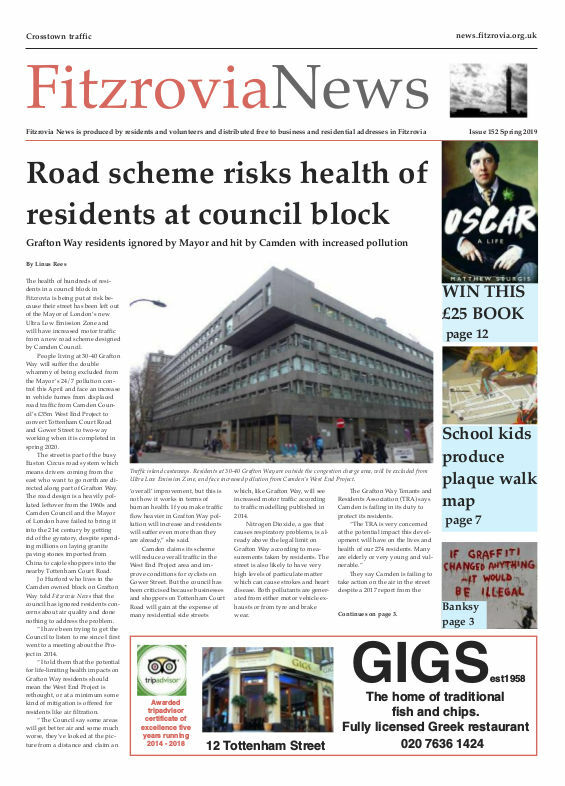 A full list of events is on the Dylan Thomas in Fitzrovia website. Details of special offers are here.